For the second year running, Care in Mind are pleased to announce that we have been recognised as a Mindful Employer. This illustrates our commitment to supporting our staff who may suffer with mental health difficulties and the approach we have when recruiting staff for our services. As an employer, we recognise and support employees who experience mental health difficulties and the stigma and discrimination that surrounds the topic of mental health in today’s media. 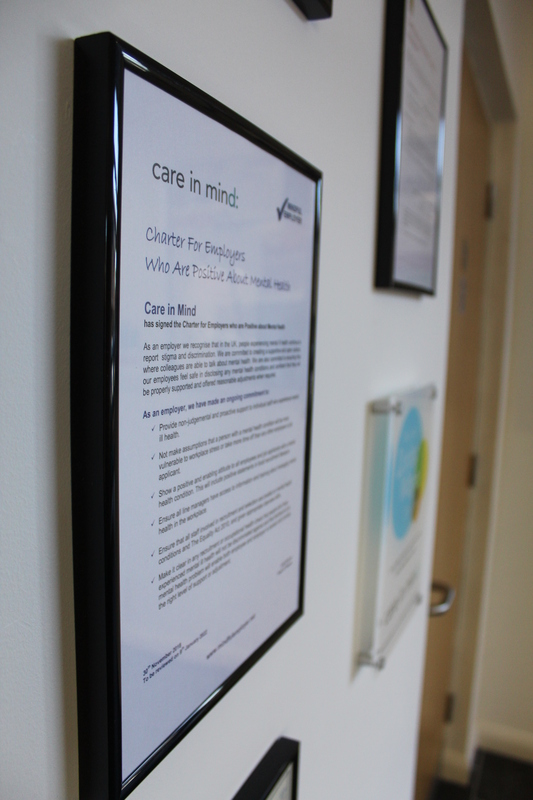 In 2017, Care in Mind signed the Charter for Employees who are Positive about Mental Health. As an employer and a mental health provider for young people, we are committed to not only supporting our young people throughout their placements but also supporting our staff and colleagues and focus on creating an open culture environment where staff are able to talk openly about mental health in their place of work. What does this Charter mean for Care in Mind? Provide non-judgemental and proactive support to individual staff who experience mental health difficulties. Show a positive and enabling attitude towards all employees and job applicants with a mental health condition. Ensure that all line managers have access to the correct, up to date information and training about managing mental health in the workplace. Ensure that all staff involved in recruitment and selection processes are briefed on mental health conditions and The Equality Act 2010 and given appropriate interview skills. Make it clear in any recruitment or occupational health check that people who have experienced mental health difficulties will not be discriminated against in any way. Any disclosure of a mental health problem will enable both the employee and employer to assess and provide the right level of support or adjustment needed.